Super fun little tutu especially made for the 6 to 12 month baby! Cotton underskirt under the Tulle. 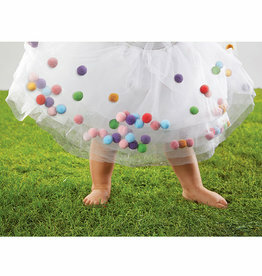 Tulle has fun little lose multi colored poms throughout Tutu. Fun to wear and great for pictures! Sweet ink! 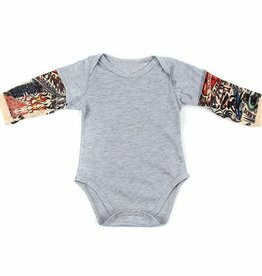 Our tattoo snapshirts give baby cool vibes with classic tattoo inspired designs but all the softness of our cotton knit blend. Fun as a seasonal costume or everyday play.